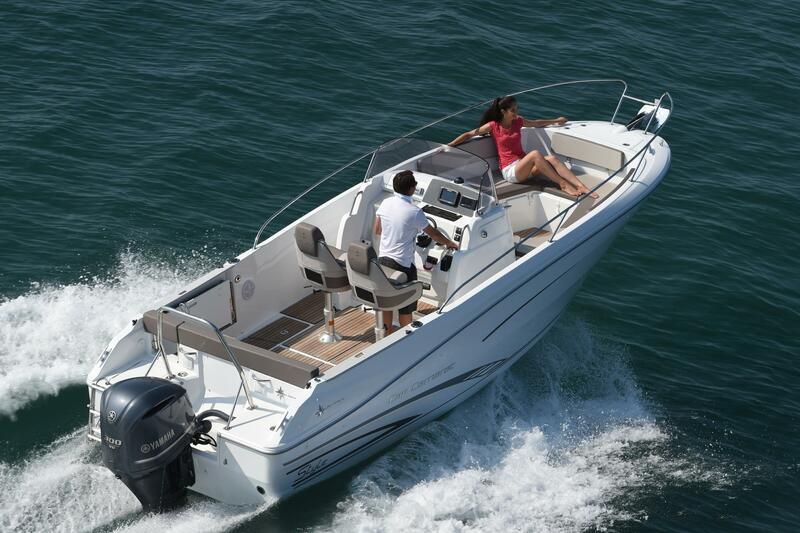 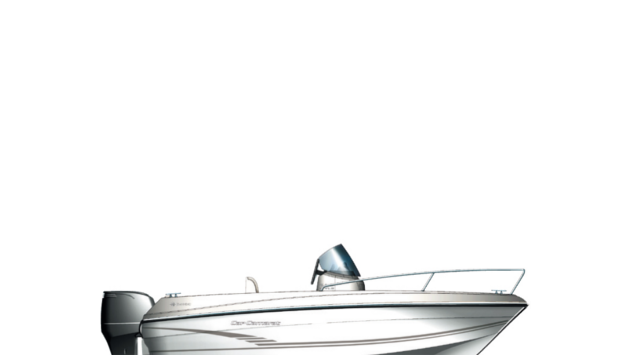 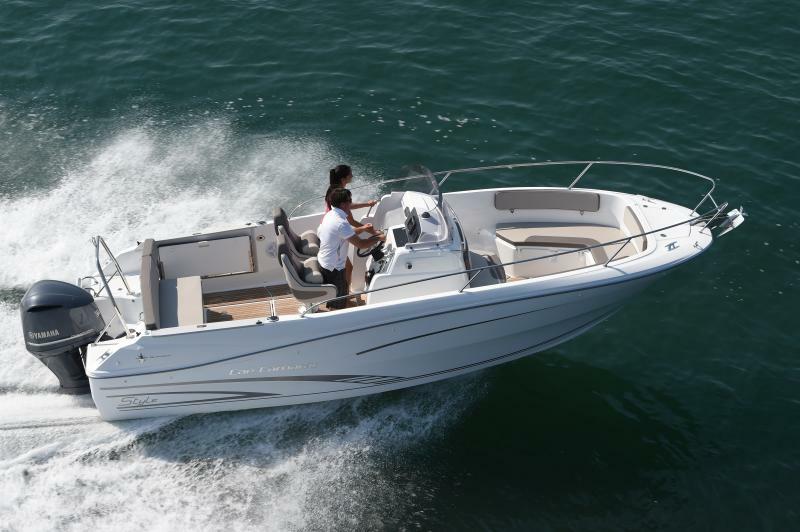 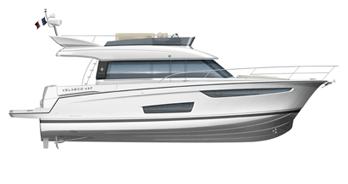 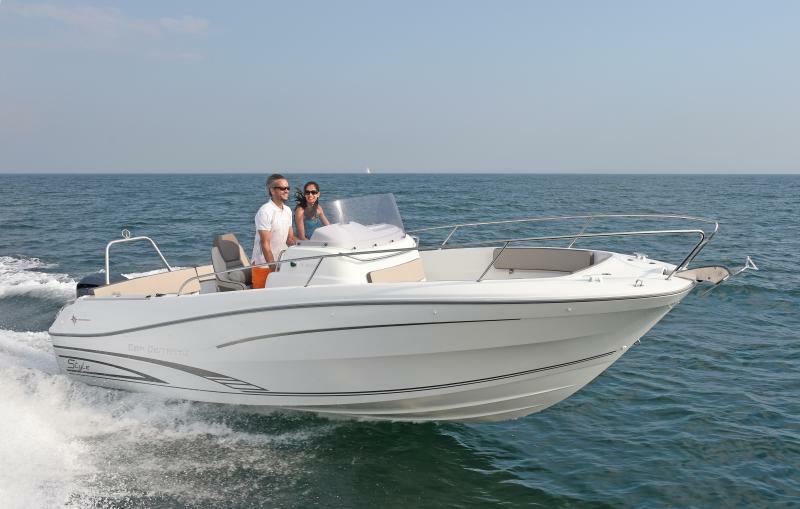 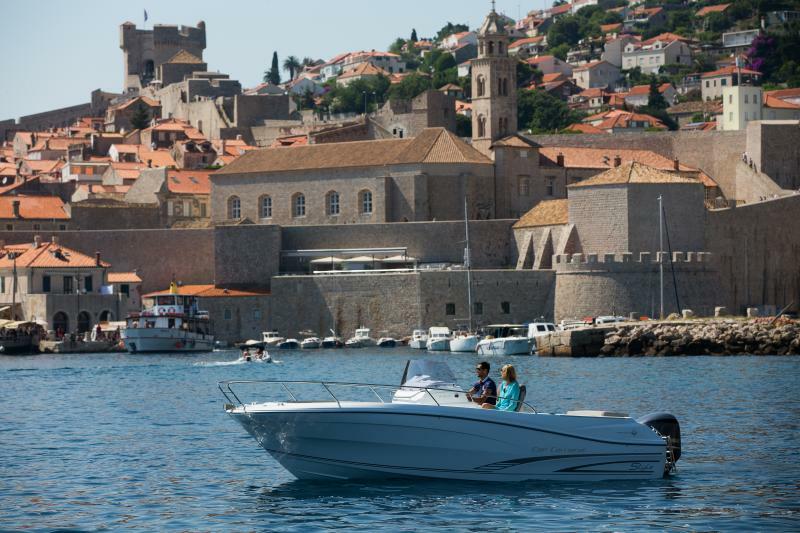 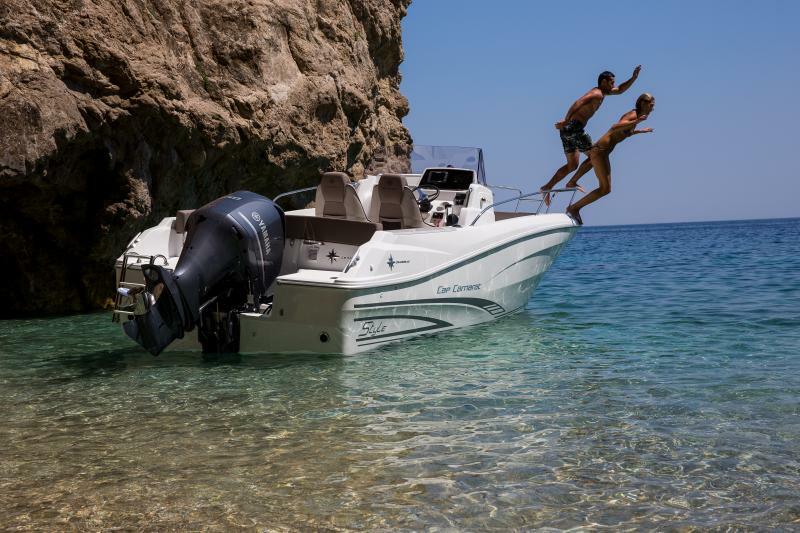 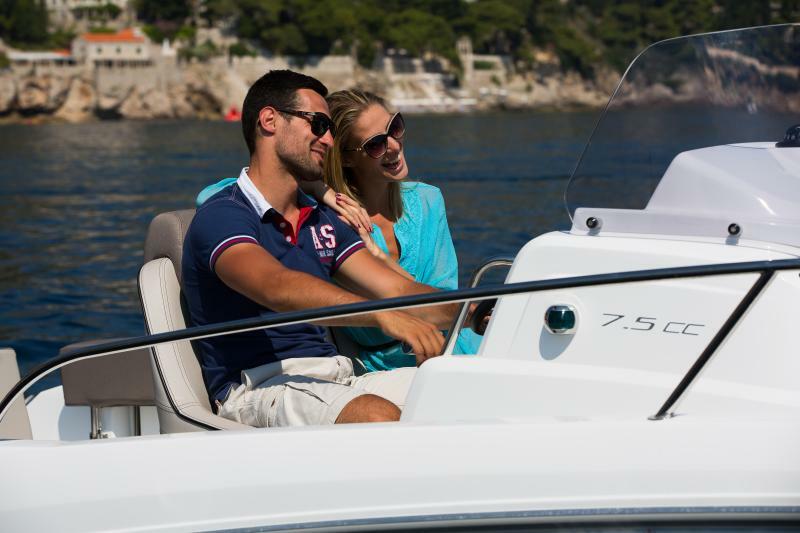 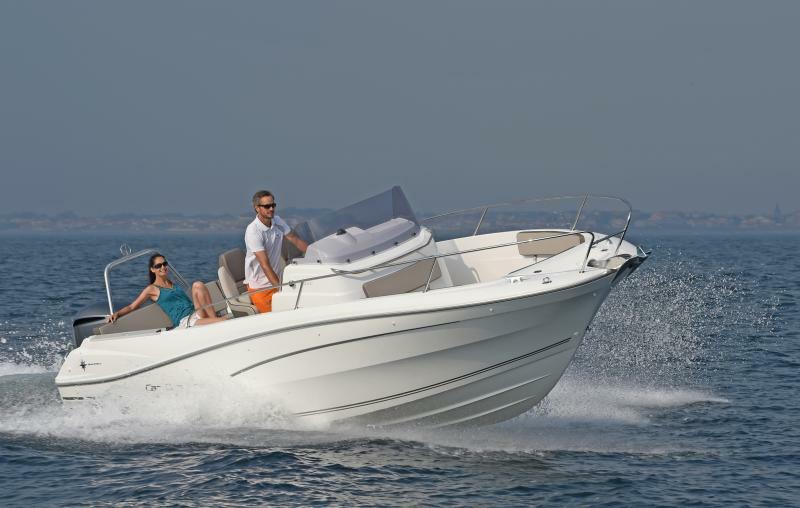 With the CAP CAMARAT 7.5 CC SERIE 2, JEANNEAU continues to develop the CAP CAMARAT range with finesse. 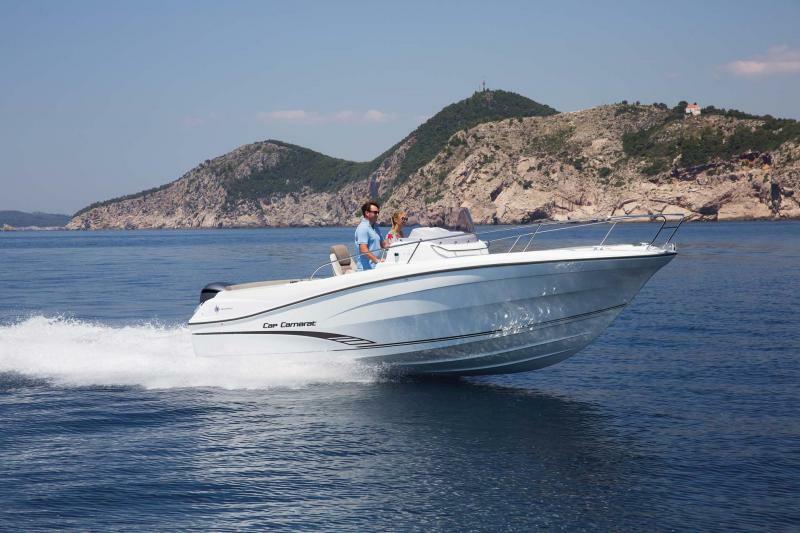 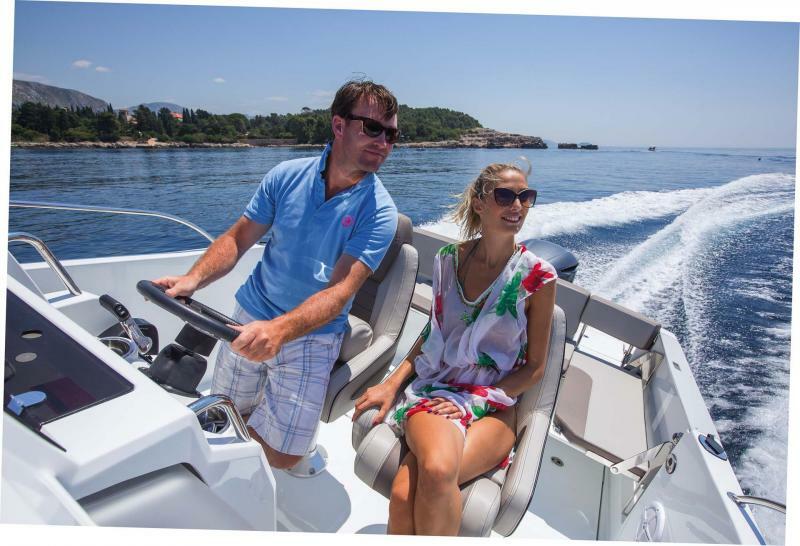 With a magnificent hull designed by M. Peters and an American-style console, the CAP CAMARAT 7.5 CC SERIE 2 delivers a sensational performance. 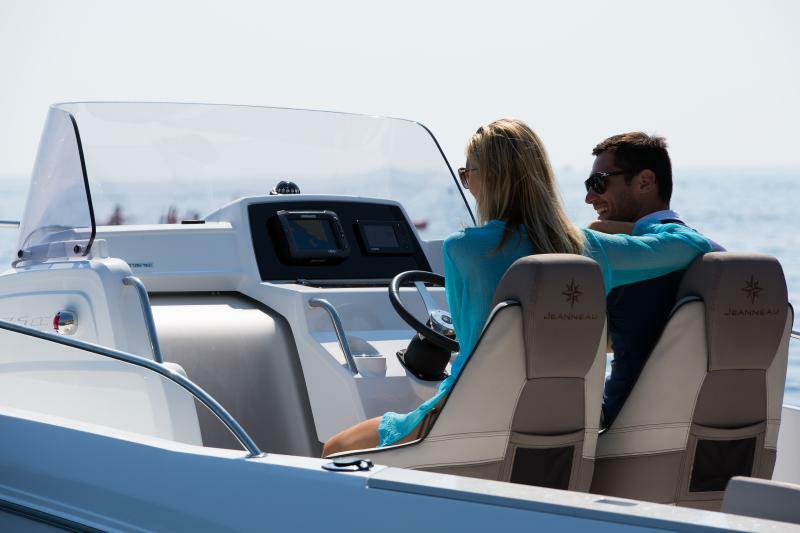 With a clear view of the horizon, an ergonomic dashboard, a well-considered layout, a sunpad and much more, she is simply irresistible! 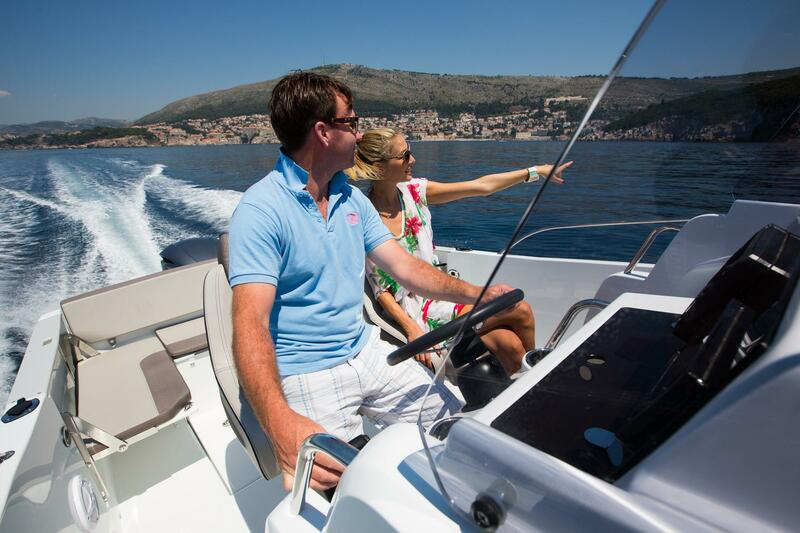 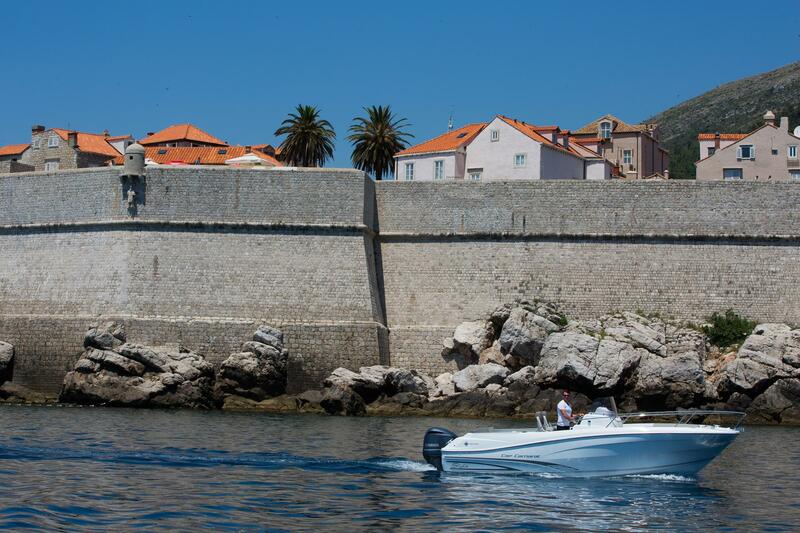 A pleasure to drive, she also features easy movement around the boat. 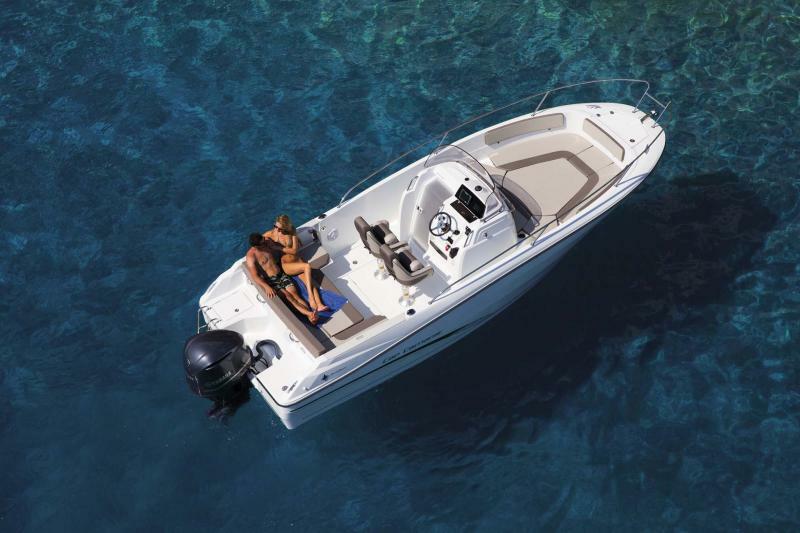 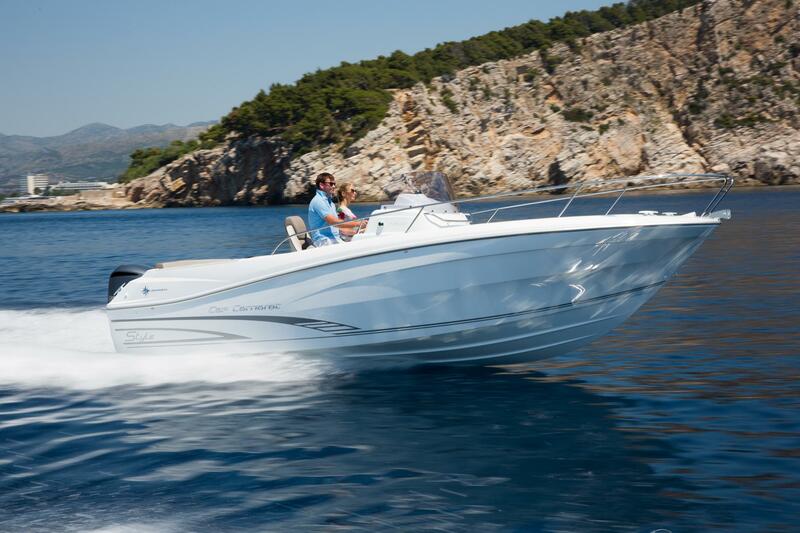 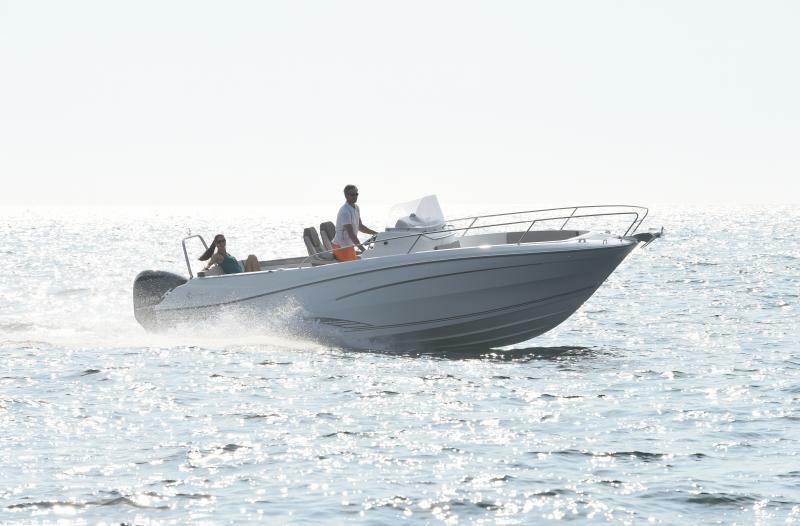 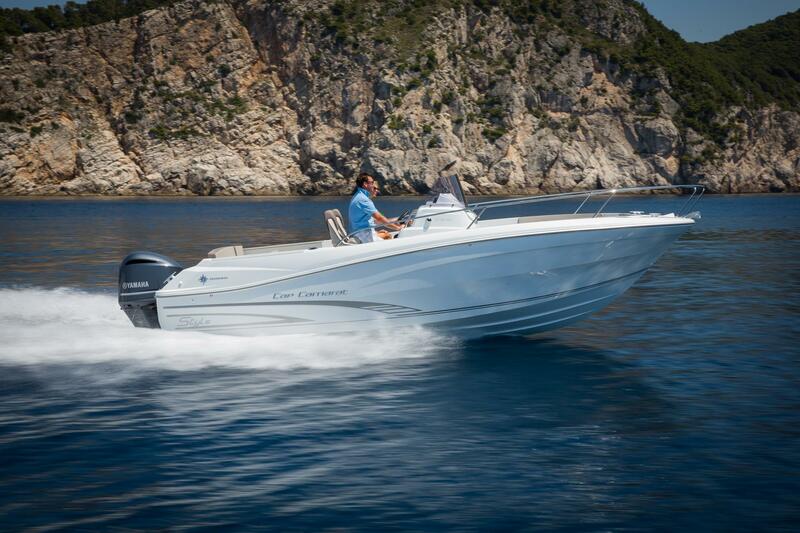 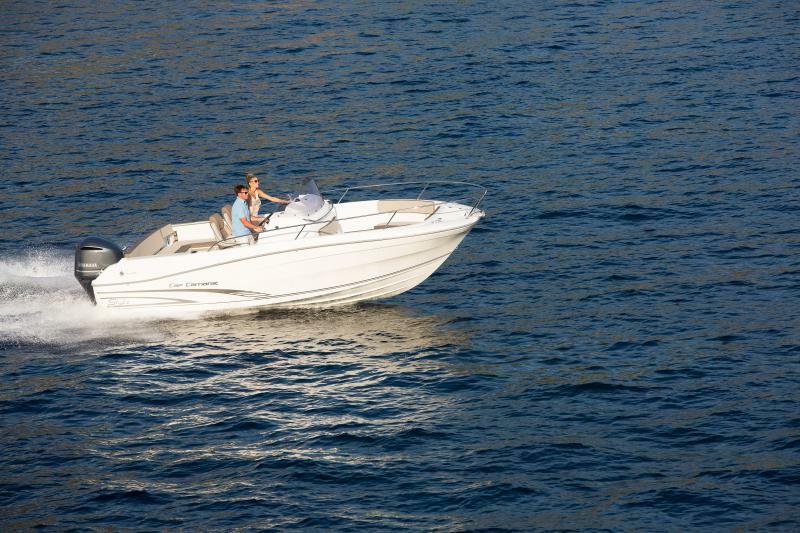 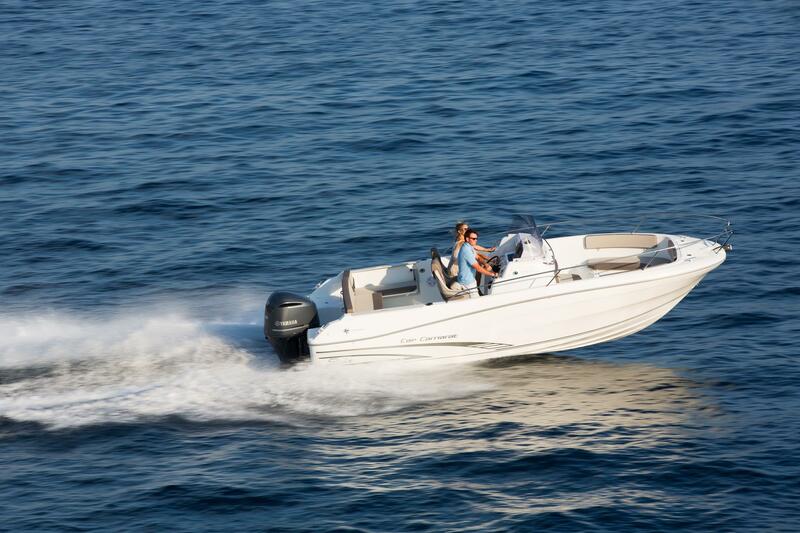 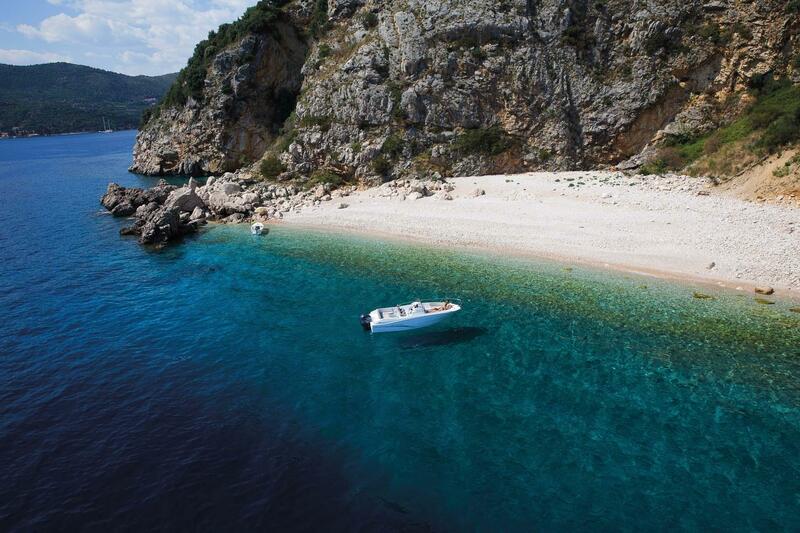 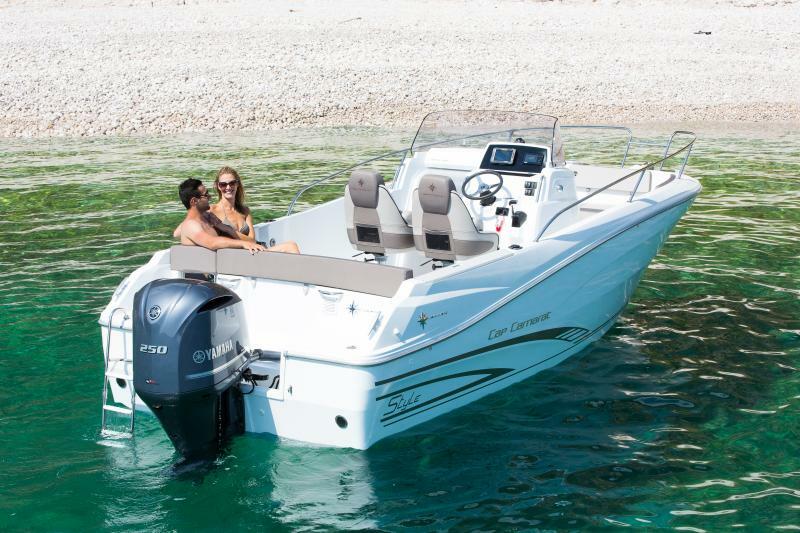 Elegant, refined, sporty, the CAP CAMARAT 7.5 CC SERIE 2 is an open invitation to get away. 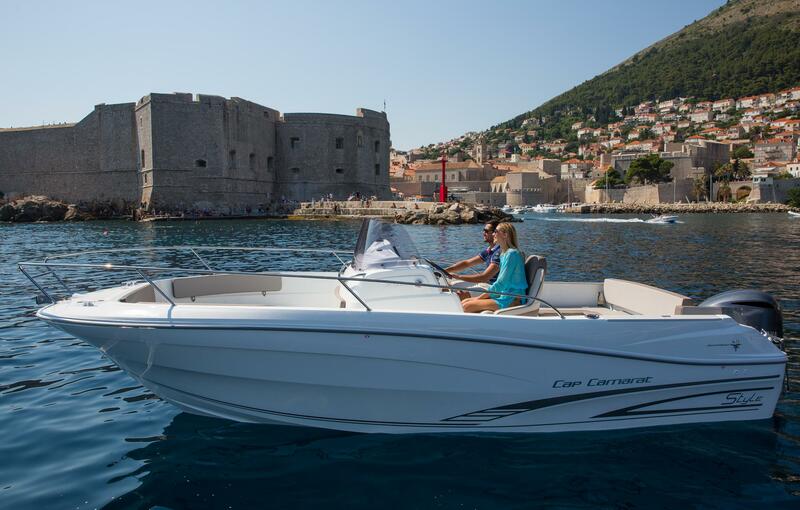 Inspired by the larger Cap Camarat, each instant spent aboard is pure pleasure.